We know you can’t help it. You loved your younger child more. He seems to capture your heart, make jokes and entertain everyone. He speaks adorably and you feel like you want to give the whole world to him. He mimics Barney songs just the way it should be you think that he’s going to be a superstar when he grows up. 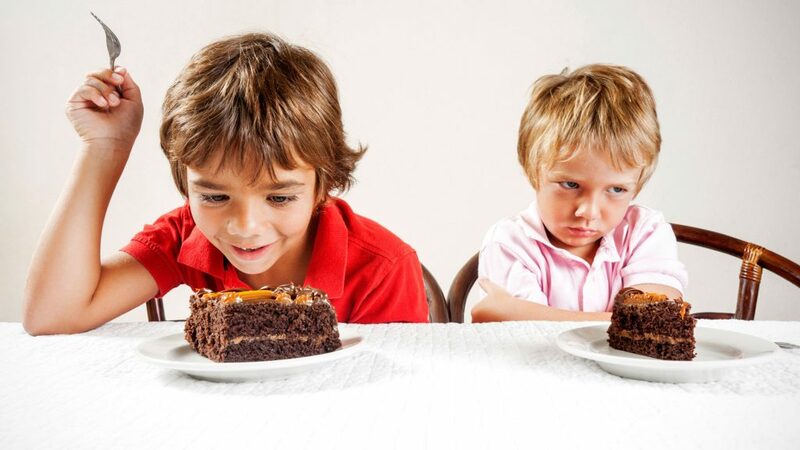 Your older child on the other hand is a picky eater, talks back and often misbehaves. She does not do well in school and you felt so embarrassed. Would you admit if anyone were to ask you who is your favorite child? Unfortunately, most parents make the same mistake by having a favorite child. Some of them announce to the world, others keep it to themselves when they can’t help it. But their actions, love and concern for each child is obviously different. So be mindful about this mistake and understand the consequences if you continue to practice favoritism. Let me share with you the effects of favoritism. Firstly, favoritism will instill jealousy and sibling rivalry. The child whom you favor will gain upper hand in what he does at home. This in return will encourage ego, self-centeredness and pride. The downside that he is likely to show the same attitude when he mingle around with his peers. Finally, when his peers are not able to give in to him as per his expectation, he is likely to suffer from emotional breakdown. On the other hand, the child who is not favored over will feel angry, belittled or loss of confidence. The inferiority will burden her heart and be carried through in whatever she does. This child is also less likely to succeed academically and socially depending on the seriousness in favoritism at home. In conclusion, being a parent of both kids, you should learn to love them equally regardless of who they are and what their character is. Should your older child continue to be a picky eater, talk back or under perform in school, spend extra time on how to parent and correct her behavior instead. Learn to accept other shortfalls as nobody is perfect and she was also once the apple of your eye when she was much younger. She too could speak adorably, capture everyone’s heart and sing like Baby Bop. Previous articleIs It True That Subsequent Birth Are Always Easier?